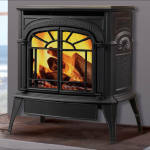 Insta-Flame Ceramic Burner System Vibrant, glowing flames — This unique gas burner is powerful enough to bring heat to your room, and its included ember bed and split oak log set make for a realistic fire-viewing experience. 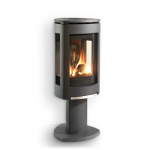 Ceramic Glass Front Spacious viewing area — The open style of the Oxford stove’s front glass panel allows you a clear and unobstructed view of its robust gas flames. 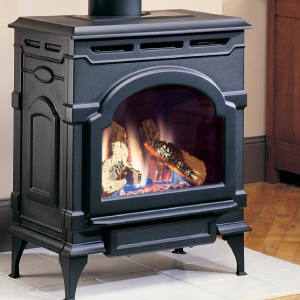 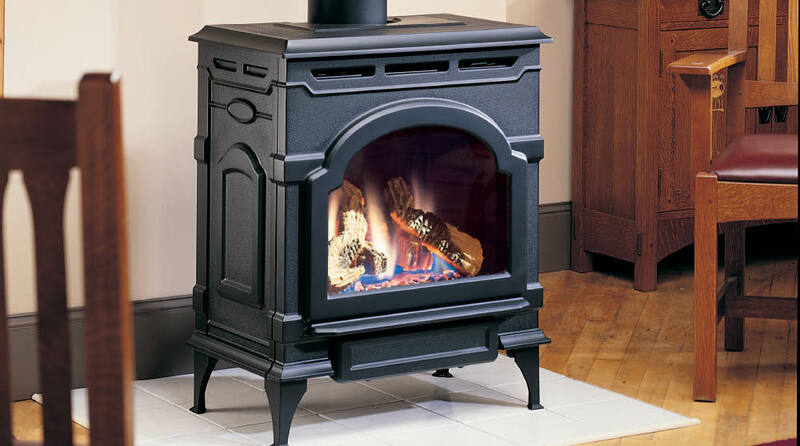 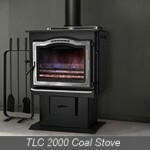 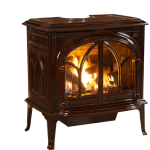 Up to 28,000 BTUs Warmth and comfort — This stove delivers a range of BTUs from 19,000 to 28,000, so you’ll stay nice and warm while efficiently heating the room to help lower heating costs.